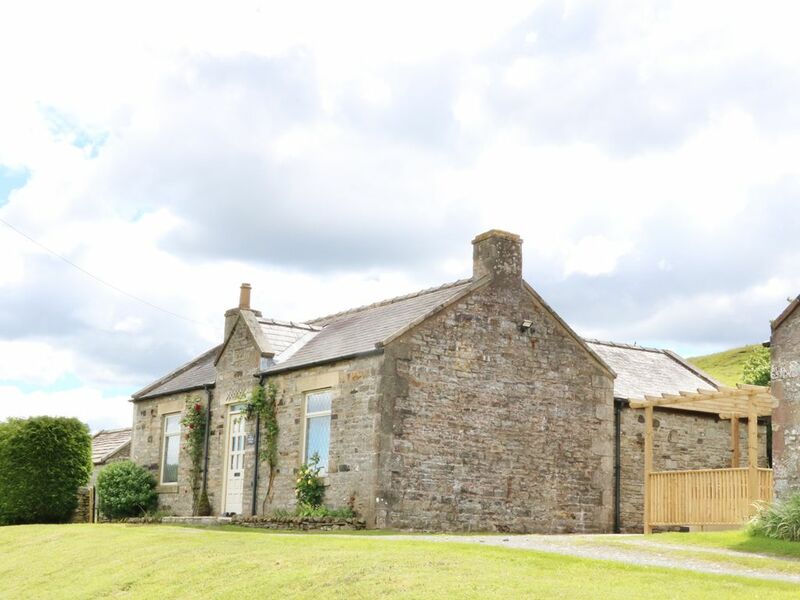 This cottage is situated close to the town of Middleton-in-Teesdale near Barnard Castle and can sleep four people in two bedrooms. East Crossthwaite Cottage is a lovely retreat situated near to the town of Middleton-in-Teesdale in County Durham. Hosting two bedrooms; a king-size and a twin, along with a shower room, this property can sleep up to four people. Inside you will also find a kitchen/diner and a sitting room with woodburner. To the outside is off road parking for three cars and an external utility building, along with a garden with furniture and hot tub. Resting in a pleasant location with plenty to admire, East Crossthwaite Cottage is a delightful retreat in a scenic part of England. Amenities: Oil central heating with woodburner. Electric oven and hob, microwave, fridge/freezer, washing machine, dishwasher, Tassimo coffee machine, TV with FreeSat, WIFI, DVD player, bluetooth speaker, WII console, selection of games and DVDs. Fuel, power and starter pack for stove inc. in rent. Bed linen and towels inc. in rent. Off road parking for 3 cars. Lockable bike storage in utility. Garden and patio area with furniture, chiminea and hot tub. Sorry, no pets and no smoking. Shop and pub 1 mile. Note: The external utility room can be used to store bikes, and is lockable. Note: For the coffee machine please bring your own pots/cartridges. Note: The garden is accessible up steps, and may not be suitable for the less mobile. Note: The property has a private water supply. Note: Check in time for the property is 4pm. Region: From heather-clad moors and limestone scars, to market towns and the steady pace of country life - the sublime Dales await you! Where else in Britain is it as satisfying to sit and do nothing as it is to explore the numerous pursuits on offer? Town: The Pennines village of Middleton-in-Teesdale sits in an Area of Outstanding Natural Beauty in the very heart of Teesdale. There is a range of amenities on offer in Middleton-in-Teesdale, including shops, eateries and pubs. For those who want to explore the great outdoors, there is excellent walking from the village, over open moorland or through wooded valleys, and to the dramatic waterfalls of Cauldron Snout and High Force. The market town of Barnard Castle is 10 miles away. All ground floor. Two bedrooms: 1 x king-size double, 1 x twin. Shower room with walk-in shower, basin and WC. Kitchen/diner. Sitting room with woodburner. External utility. Oil central heating with woodburner. Electric oven and hob, microwave, fridge/freezer, washing machine, dishwasher, Tassimo coffee machine, TV with FreeSat, WIFI, DVD player, bluetooth speaker, WII console, selection of games and DVDs. Fuel, power and starter pack for stove inc. in rent. Bed linen and towels inc. in rent. Off road parking for 3 cars. Lockable bike storage in utility. Garden and patio area with furniture, chiminea and hot tub. Sorry, no pets and no smoking. Shop and pub 1 mile. Note: The external utility room can be used to store bikes, and is lockable. Note: For the coffee machine please bring your own pots/cartridges. Note: The garden is accessible up steps, and may not be suitable for the less mobile. Note: The property has a private water supply. Note: Check in time for the property is 4pm. East Crossthwaite Cottage is a delightful property located just outside the town in a country location. Lovely views and the cottage exceeded our expectations.